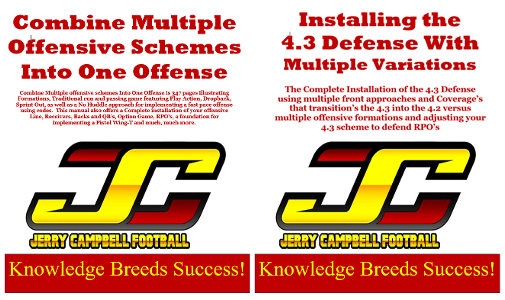 My ebook bundle represents 16 different ebooks when combined offer 5,000+ pages of information on Offense, Defense and Program Organization. 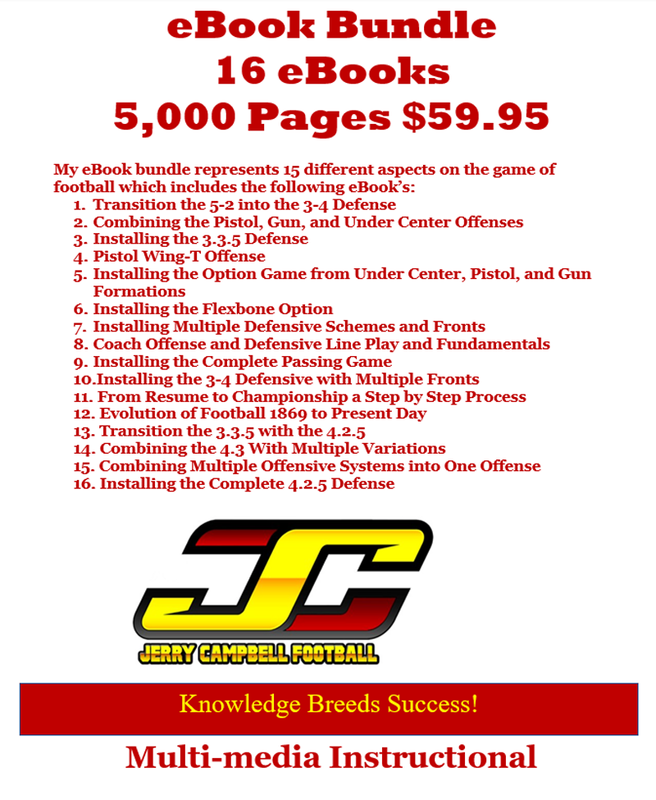 My eBook Bundle would be a great addition for any coaches library or for anyone wanting to understand the finer points on the great game of football. 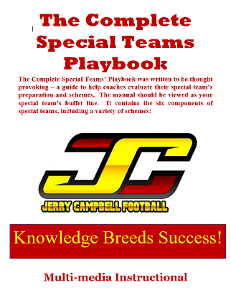 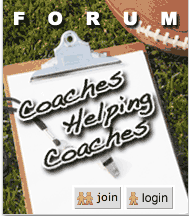 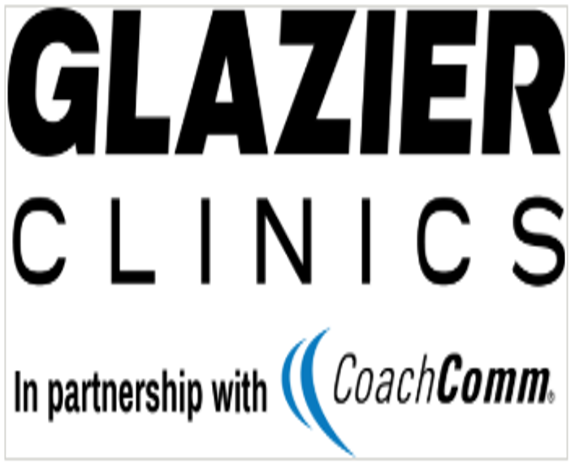 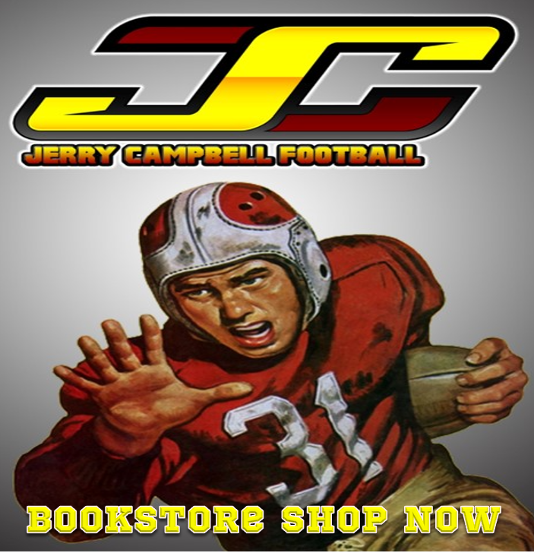 Expand your understanding of how to play football successfully with football coaching manuals and videos by Coach Jerry Campbell. 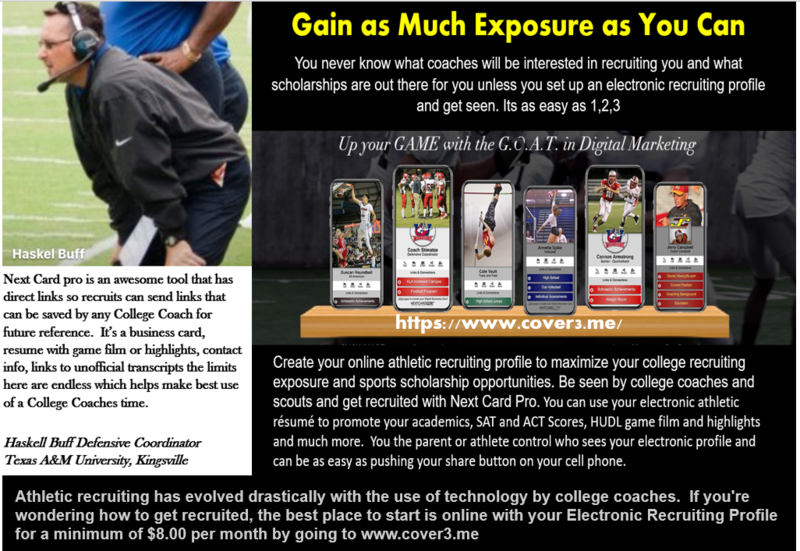 At JCFB, our mission is to provide the best quality and value products that will increase the knowledge of coaches, players, and fans by using a variety of approaches, from traditional to cutting-edge technology. 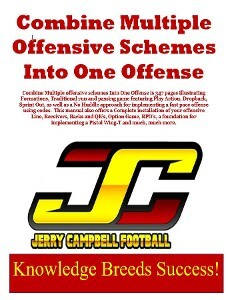 Combine Multiple offensive schemes Into One Offense is 347 pages illustrating Formations, Traditional run and passing game featuring Play Action, Dropback, Sprint Out, as well as a No Huddle approach for implementing a fast pace offense using codes. 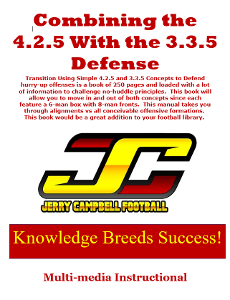 This manual also offers a Complete installation of your offensive Line, Receivers, Backs and QB’s, Option Game, RPO’s, a foundation for implementing a Pistol Wing-T and much, much more.